Royal University for Women, Bahrain. Pulsar recently added to it’s ever-growing list of Middle East projects with completion of Phases 1 & 2 at the Royal University for Women in Bahrain. 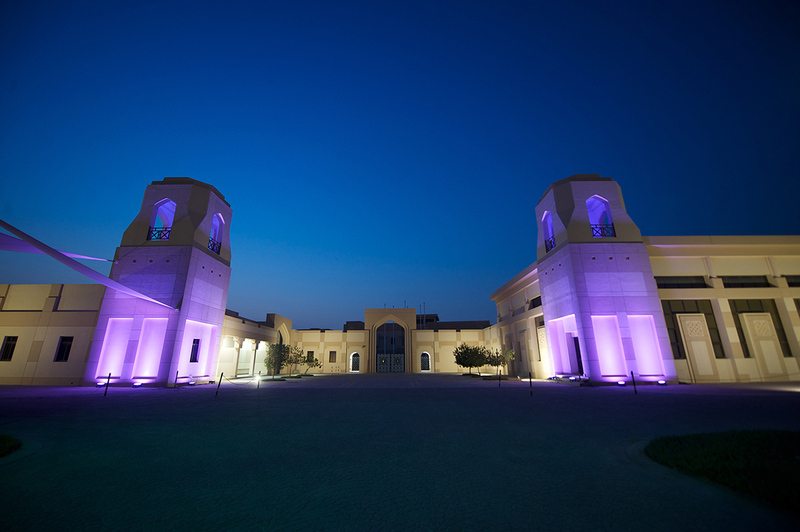 A female-only university, the university stands proud in the wealthy Awali district (which is also home to the royal palace and many of Bahrain’s elite). A very select student population consists of members of the royal family, and daughters of diplomats and government officials from Bahrain, and across the GCC, who come to study Fashion, Art and Business amongst many other disciplines. The initial degree programmes of the university were designed in collaboration with McGill University in Canada and Middlesex University in the United Kingdom. After testing on-site with various products, colours and beam angles, Pulsar’s EcoFlood 60 was selected by the University – both for high quality and durability of the fixtures, and their proven ability to survive in the searing heat, high humidity & marine-like conditions. Over 2 phases, more than 50 EcoFlood’s were installed at various locations around the buildings, gently highlighting their exterior discreetly yet effectively. A warm white colour was chosen to bring out the colour in the natural stone. With a wide 60 degree beam, the projected light is well spread, and provides uniform coverage across the external façade. 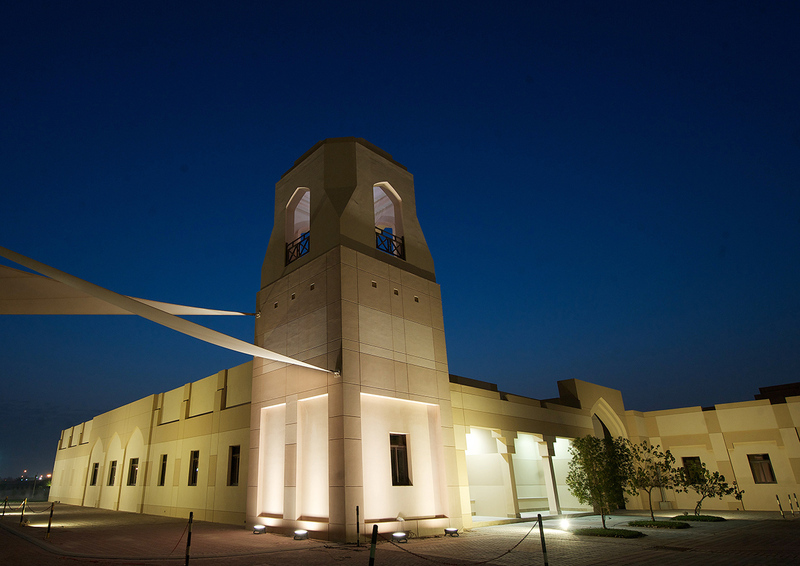 Today – drivers on the Al Muaskar Highway see the elegant campus glowing in the night. Pulsar is proud to have been chosen by such a prestigious establishment, recognising our goal to provide the right solution for clients in the region. For full details and the case study see below.